Returning to her native Scotland after the death of her husband in France, Mary Stuart takes her place as the rightful Queen of the country. This causes concern within Queen Elizabeth’s camp due to the differences in their religious beliefs. While the women try to carry a respectable relationship through letters and offers, the men are trying to undermine Mary, in order to secure ruling the whole of England. 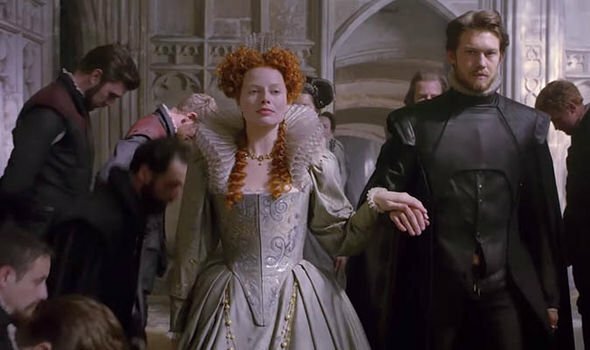 The story of Mary Stuart is a fascinating one. Married at 15, widowed at 18 and Queen at the same age, she has more determination than most at that age, to be regarded as a Queen not to be trifled with, yet her religion upsets the balance of her role, being a Catholic in a time when the Protestants church have a powerful hold over the country, led by the fanatical leader John Knox. Elizabeth even tries to ease the problem by offering one of her suitors as a possible husband to Mary, although she does accept. Josie Rourke’s film tries to show that these are two women, in positions of extreme power, yet being constantly overruled by men. If ever there were a feminist approach to history telling, then this is it. Not a bad thing and quite relevant to what is happening in these times of the #MeToo campaign, yet this has its heart in the right place, it’s the whole twisting of history to give it a modern spin just doesn’t work. There are several moments when events happen that you immediately question. I have no knowledge about the real story of Mary Stuart and yet even I could tell that some moments probably didn’t happen. It has been hugely publicised that Mary and Elizabeth never met, yet here they do in a scene that was massively overblown and theatrical, which reminded me more of Bruce Lee’s cautious final fight in the room of mirrors in Enter The Dragon. It also seems to want to cram as much about Mary’s reign in just two hours, so it becomes more episodic than flowing. She did this and then this and then this, cutting every so often, in order to compare and contrast with what was happening in England and Elizabeth. It’s like you are being led through a museum by an over-enthusiastic guide who wants to tell you everything. Thankfully the performances manage to save the day from this being a full disaster. The males, playing second fiddle to the women, give it all they got, particularly Ian Hart as Lord Maitland and David Tennant, almost unrecognisable in a mass of hair, as John Knox. Yet it is the two female leads who hold the film together. Margot Robbie, as Elizabeth, has the hardest role as her part is more bits than focusing on her and yet she still manages to make a sympathetic woman, having to rule in a man’s world. It would have been nice to see more of Robbie, although this is not the Elizabeth story. The relationship between the two could have been more of a central piece. Saoirse Ronan, however, is the lynchpin of the whole film and she proves, once again, she has enough star presence to keep the attention. If you can forgive the fact that Mary probably wouldn’t have a Scottish accent, having spent most of her life in France, Ronan is a powerhouse, showing the various sides of this young girl have to cope with men willing to stab her in the back. 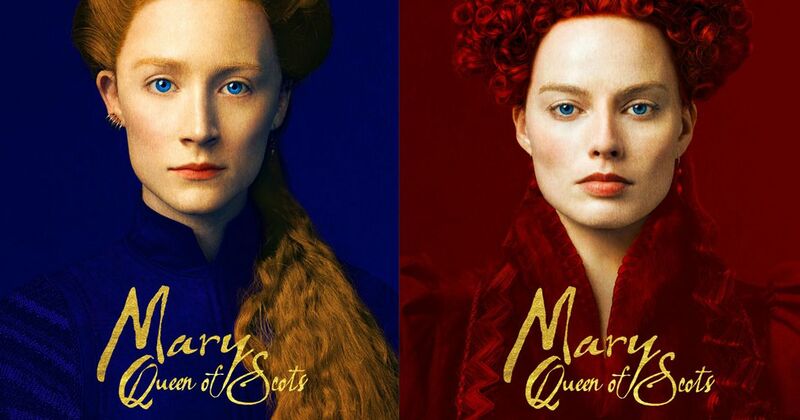 Mary Queen of Scots looks magnificent and there are moments when the script really is terrific but the film’s muddled historical lines and desperation to be looked upon as enormously PC (Asian maids, homosexuality) interferes with the overall feel to the film. Not a total disaster but one that fails to excite and can be regarded as a disappointment.